Kiso is so mountainous, thus it is famous for plenty of mountain delicacies. There are so many specialties. “Phantom” Kiso beef is so called because only a few hundred of beef cattle are grown every year. Corn cropped in Kaida Plateau is excellent. Mountain trouts are found in the clear stream. Sunki is a pickled coleseed that has been developed in harsh natural environment. And everyone who visits Kiso should not forget to have a delicious soba. Of course, traditional and simple confectioneries are available at many places around the area. It is good idea to travel Kiso Road for the purpose of having gourmet food. Exquisite soba made with the milling technique from the Edo period. Come and try the rustic but exquisite soba noodle. Tochinoya serves handmade soba noodle and Tempura. 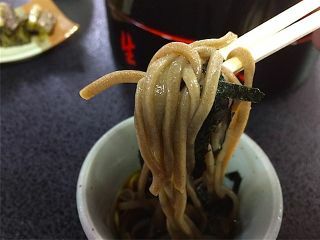 You can also enjoy "Sunki" soba (local pickle) in the winter. Restaurant located right in front of the station. The store next door is a gift shop. They can also help the cyclists. Hidatei serves Japanese traditional course dishes using local ingredients. 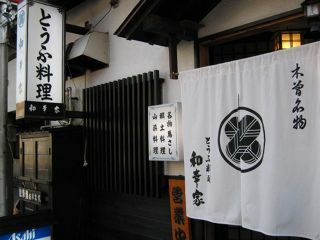 Taste their a la carte with mountain vegetables and original dishes, feel the atmosphere from the Edo period. Torikagi is a Japanese restaurant in Kiso Fukushima. Enjoy the mountain blessings served with full of hospitality. Kazusaya is a restaurant located in downtown Kiso-machi, serving tofu dishes, fried chicken (Sanzoku-yaki) and horse sashimi. The tofu they use are from a local traditional tofu maker, Tanakaya (established in 1869). Focused on ingredients such as soybeans and fresh water of Kiso, it is soft and sweet in mouth. Come and taste the delicious tofu in Kiso. Local restaurant that serves western dishes like steak and rice omlet. The owner runs the restaurant by himself. Located in downtown, it is convenient to eat while enjoying the walk in the town. Chez KOIWAI is a French restaurant in an old folk house. Special of the day served at lunch and dinner. Shunsai Tamana is a Japanese restaurant located by the Kiso river, opened in 2002. 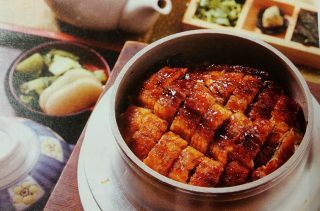 The base of their dishes are Kyoto's traditional cuisine, and they are all made by a family. Please come and relax in the Japanese-style room listening to the sound of the stream. Shirakabe is a best place to have yakitori and pork cutlet. 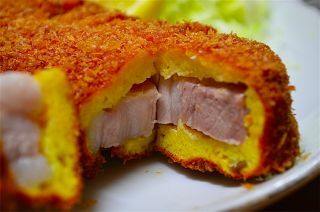 Their pork cutlet is battered with pancake like coating and it's miso sauce perfectly matches the meat. Please make a reservation beforehand.